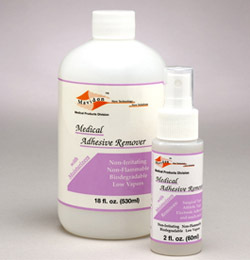 Although not a requirement for surgical instrument cleaning, stain removers or adhesive removers may be used. For stubborn stains specific cleaners can be used; however, the instruments must undergo the standard cleaning cycle before they are able to be used for surgery. Stain removers are used to get rid of rust and stains while other chemicals can remove tape and adhesive material.